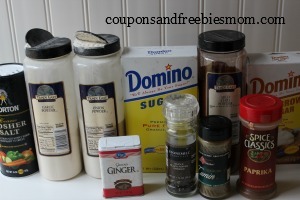 Do you love creating delicious barbecue pork recipes but hate using all of the preservative and GMO enriched seasonings? 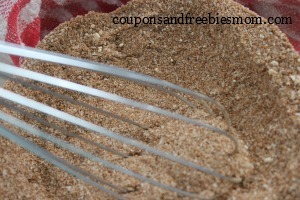 This Homemade Pork Dry Rub is simple, delicious and best of all free from all the added ingredients you don’t want in your seasoning blend. Grab a pork roast or ribs on sale at your local grocery store, mix up this rub and wow the crowd at your next family barbecue! I will let you in on a little secret, put a pork roast in your slow cooker with this great dry rub and you don’t even have to fire up the grill for a delicious meal! Mix ingredients in large bowl. Not only is this a great dry rub to treat your meat with, it’s a perfect gift item for your holiday gift baskets! 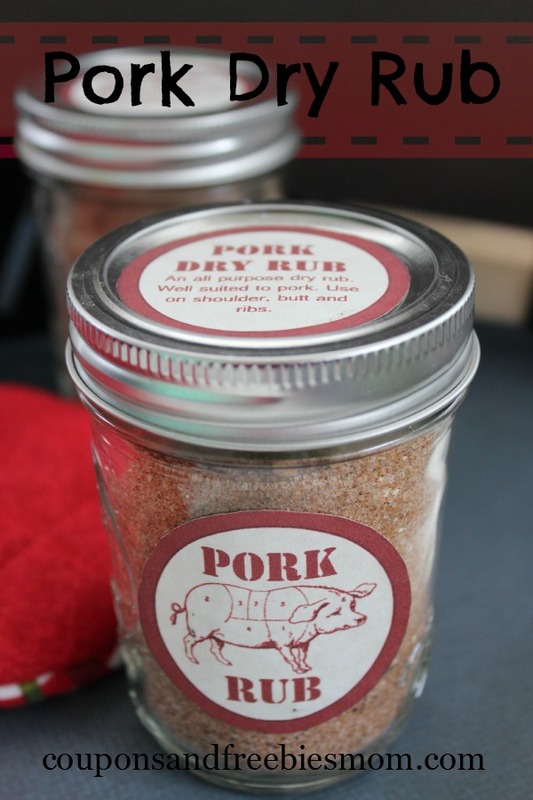 Grab a few mason jars and lids, some decorative ribbon and print these cute Pork Dry Rub Labels we created just for gift giving and create a fun, inexpensive and easy gift to give to all of your friends and family this year! Hmm… that looks good and I like the gift idea. I am always looking for good rubs. This on looks like a good one. I’ll have to try it next spring since it is -1 deg. F and 5″ of snow right now. What is the measurement for the kosher salt?